Since 1980 Cotton Row Run has been the premiere Memorial Day running event in the South. 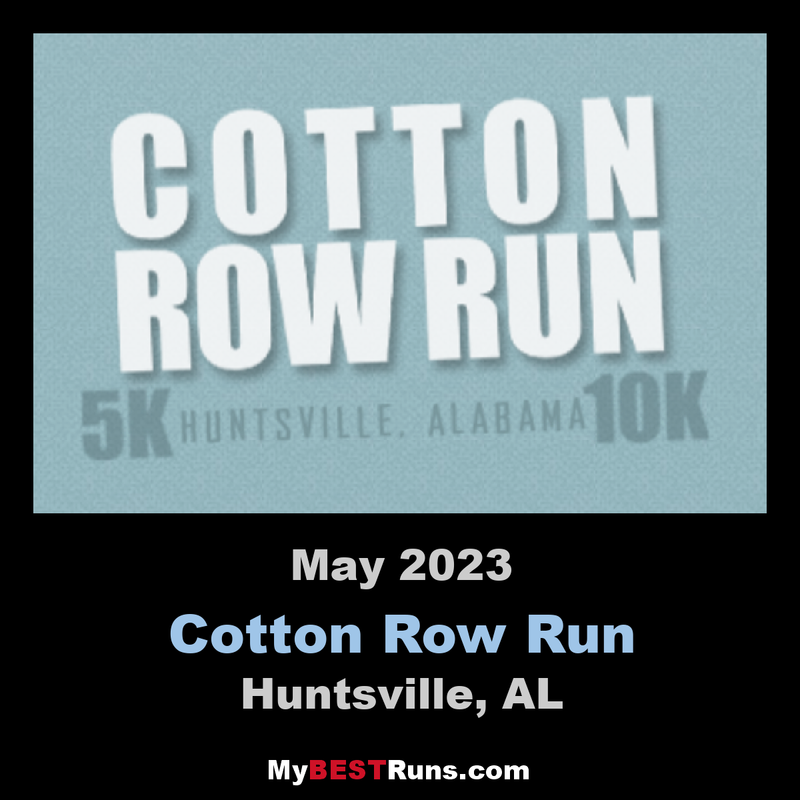 The Cotton Row Run is conducted by the Huntsville Track Club and the 10K race is the final awards event on the Running Journal Grand Prix Championship Circuit. Those wishing to walk this event will find a special starting area reserved for them to the rear of the runners. We have retained a fun run by shortening it to 1-mile and placed emphasis on participation by the younger (10 and under) crowd. Parents who have run either of the other races are welcome to accompany their children in this run if they desire. All races start on Clinton Ave., north of the Von Braun Center.